I just received my new Raspberry Pi from the folks over at the Pi Hut and could not wait to get it installed on my bench and see all of the new improvements that have come out with the latest version of Raspbian. As always, when you get a new pie you should always put it on your DINrPlate so it is not going to make a mess shorting out on anything that you have lying around on your test bench. The Raspberry Pi 3B+ came in a simple package that was easy to open and allowed me fast access to my latest diversion. I have been waiting 3 months to get to this new board and the wait was well worth it! So once I have it installed on the plate above I went to go fetch the latest version of Raspbian. They are always making changes to it making the install process easier and easier for beginners. 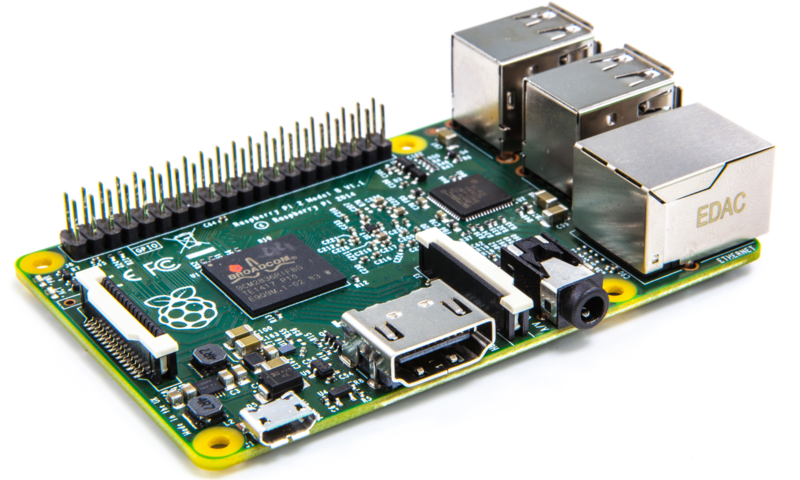 If you have been waiting for a time to get started with the Raspberry Pi and found the installation process frustrating you might just want to take another crack at it again. Much easier and straight forward now. First this you want to do is go download the lastest version of NOOBS, that is what I did as a .zip file, and then unzip it on your local system. Once you have it unzipped you can copy over the contents of that zip file over to your newly formatted SD card. Once you have done that, take it to your Raspberry Pi and then boot it up. When you first boot up you will see the following screen with only 2 options until you get your Wi-Fi going. Click on the Wi_Fi icon and log onto one of your local networks. Once you have done that you will have many more choices for what you can install. In my case I wanted Raspbian so that is what I selected. Once you have done that, go get a cup of coffee/tea and sit back, this is going to take a few minutes. When done it will prompt you with OK. I don’t know why people have to include the OK button… just get on with it already! Once you have clicked OK your Raspberry Pi will reboot and take you to the new start up screens. Then you will be prompted to sign onto a Wi-Fi network if you did not pick one during the installation process. Another much needed step in this process! When your connected to the Internet you can then check for updates for your Raspberry Pi. Another much needed step! When all done you should get the following message telling you your up to date. Always a good thing! At this point your Raspberry Pi is now setup and ready for you to use. Time for another reboot to get everything all set. Remember, at this time you can go into your Raspi-Config and make changes. I turned on VNC and SSH. I am always on the PI via one or both of those from my main PC. I also wanted to take the time to let all of you know that even though the new Raspberry Pi 3B+ is more power efficient than all of the previous models it still at peek usage consume MORE power. So I am using a 5v 3a power supply that terminates in a barrel jack. I then use a barrel jack to micro USB converter to power the Raspberry Pi 3B+. I figures that a picture would also help explain it. Want to make sure that power is not a problem! ok, now that we have rebooted and we are back on the desktop you can click on the Raspberry Icon and open up your applications menu. You can then navigate down to “preferences” and to “recommended software”. As you can see there are “all programs” you can select or you can pick other things like “games” or “programming”. If you do not see what your looking for, and I didn’t, you can also go to “preferences” and “add/remove software”. This will most likely still be the way I do things as I find it has a better selection (for now). When you open that up you can type in the search box for something that your interested in installing on your PI. Or, you can select a category, I selected Games, and you can see games that you can install. I didn’t want to install any games at this time but I did want to listen to some mp3’s that I have on my phone on the Raspberry Pi 3B+. So I typed “vlc” in the search box and behold VLC showed up as one of my choices. So I installed it! When completed you have a new category on your main menu for your new program! Easy Peasy! In some cases you will want to install a program that will not install when you try either of the ways I listed above. The Phoronix Test Suite is one of those such programs. It is listed in the add/remove software section but it will not install that way. I am not sure if it is a bug but I have tried it many times on many versions with zero success that way. I HAVE had success bu going to the Phoronix website though! If you say yes you will be prompted for your password. When you changed it you committed it to memory or wrote it down somewhere right? Just like VLC it will take a moment to install it and then you will have a new group with an icon for you to use your new program! With this new version of Raspbian for NOOBS it has never been to easy to setup a Raspberry Pi 3B+ (and previous versions of Pi). I will go into more depth with Phoronix and VLC in future posts. I just wanted to get this post out there so you can start to configure your Raspberry Pi’s as well.